Arguably, travel planning is one of the top worst ideas entrepreneurs can think of. In our quest to crack that impossible nut, we changed (ahem, “pivoted”) our product 3x before finally getting it right. Earlier this month MyGola was acquired for an undisclosed amount by MakeMyTrip, a publicly traded travel company in India. Bapna made the announcement on their website. I’m incredibly excited to announce that Mygola has agreed to be acquired by MakeMyTrip (NASDAQ:MMYT). It’s been a remarkable journey that we set out on 5 years ago to truly solve travel planning. Here is a fun video that Bapna and his team created to announce their acquisition by MakeMyTrip. 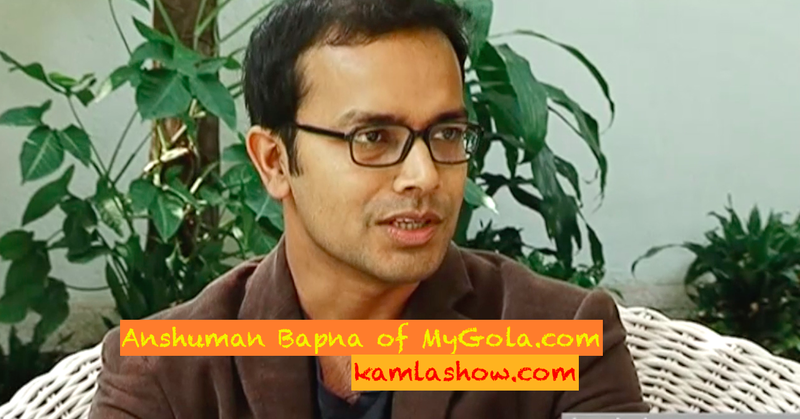 We recorded this interview with Bapna in 2013, where he talks about entrepreneurship, MyGola and the pivots they made. In fact when we interviewed him MyGola was in the process of making a pivot. MyGola is the second startup Bapna co-founded. He founded his first startup while he was a student at IIT, Bombay. Bapna studied at Stanford University and worked at Deloitte and Google in the US and then decided to head back to Bangalore to co-found MyGola.com. With one more week to go, here are my 3 picks from this year’s San Francisco International Film Festival (April 23-May 7, 2015). These are films that I have seen. There are lot of films I have not seen, and would like to see them. These include “The Diplomat,” “The Deep Web” “Tangerine” and “The Wolf Pack.” In case you missed it, here is my previous post on my picks from the film festival. 1. “Court” by Chaitanya Tamhane. This is a riveting film on how the court system works in Bombay, India. We see the film through the eyes of the three primary actors: the accused, the defender and the prosecutor. You can read an extended post on Court here. 2. “Chef’s Table” is a Netflix original documentary series that features 6 chefs from around the world. What is fascinating about this series is that you get a close look at how each of these chefs evolved and found their style. Often, we forget that chefs have to be entrepreneurial in their ventures and we see that aspect of their personality too. The festival is presenting two episodes from the series. One of them is about the flamboyant, fearlesss, fire-loving chef Francis Mallman from Argentine. 3. “7 Chinese Brothers“ is a quirky film that centers around a young man played by Jason Schwartzman, who drifts through life in an aimless manner. He finally finds his calling working in an oil change shop. Disaster strikes when he loses his last remaining relative and his job. How does he handle this latest upheaval in his life? That is what the film is about. We continue with our history of Hindi cinema or Bollywood with Dr. Salman Akhtar. We pick up the threads of our conversation and look at how Bollywood films underwent a change during the 1980s. The films made in 1970s belonged to the angry young man genre and were marked with narcisstic rage. Concerns about the market shaped the content of the films from 1988 onwards points our Dr. Akhtar. This is the period when Hindi films found a new set of audience in Europe and North America. Starting in 1988 there was a distinct change in the plot lines of Hindi films Dr. Akhtar points out. There was a strong element of retrospective idealization of Indian society and culture. In these new film often the heroes were happy, lived in big homes and were comfortable with their sexuality. How did this change come about? It was due to the silent and peculiar complicity of 2 groups of audience Dr. Akhtar explains. They were the Non Resident Indians (NRIs), who had temporarily lost their moorings and anchoring in their day to day lives and had a tendency to idealize Indian culture he points out. Then there were Resident Non Indians (RNI), who were born and brought up in India and had no anchoring to their Indian culture, but they had a hunger for Indian culture and tradition. The complicity of these two groups yielded a new crop of Hindi films that were big on nostalgia he argues. And finally we talk to Dr. Akhtar about his own family’s connection to Bollywood and Hollywood. We talk to him about his nephew Farhan Akhtar’s pathbreaking film “Dil Chhata Hai,” about the journey of 3 young men into adults. Shot extensively in Australia this film marked the start of a new kind of films in Bollywood films. And about Dr. Akhtar’s the Hollywood connection? That connection is through his son Kabir Akhtar. Tune back in for our final and concluding episode with Dr. Akhtar on the history of Hindi films or Bollywood. In case you missed here is Part-1 of our conversation where Dr. Akhtar talks about his family and what got him interested in the history of Hindi cinema. Dr. Akhtar is a Psychiatrist and a professor at Thomas Jefferson Medical College in Philadelphia. He has has written extensively on psychiatry, psychoanalysis and about poetry and films. And in Part-2 Dr. Akhtar talks about the profound sexual angst in the films from the 1950s and 1960s. In Part-3 of our conversation he talks about female sexuality and the angry young man phase of Hindi cinema. 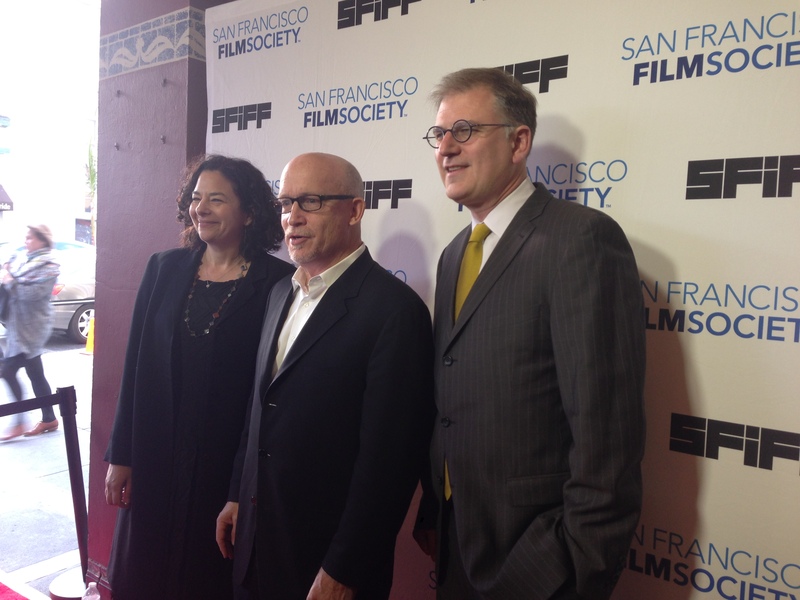 The 58th San Francisco Internatonal Film Festival is underway, and this year they have a really terrific lineup.The opening night film was Alex Gibney’s much talked about documentary “Steve Jobs: The Man In The Machine.” The film explores our collective fascination with Jobs, and delves into what values shaped this iconic Silicon Valley entrepreneur. Today is Ella Fitzgerald birthday, one of the greatest jazz singers in the world. She was born on April 25, 1917 in Virginia Beach. She was 21 years old when she recorded “A-Tisket, A-Tasket,” which sold over a million copies. For the next 50 years she performed and sang in various venues around the world. She recorded about 200 albums and sang with some of the best musicians from Louis Armstrong to Count Basie to Frank Sinatra. Here are some of Ms. Ella’s well-known songs. 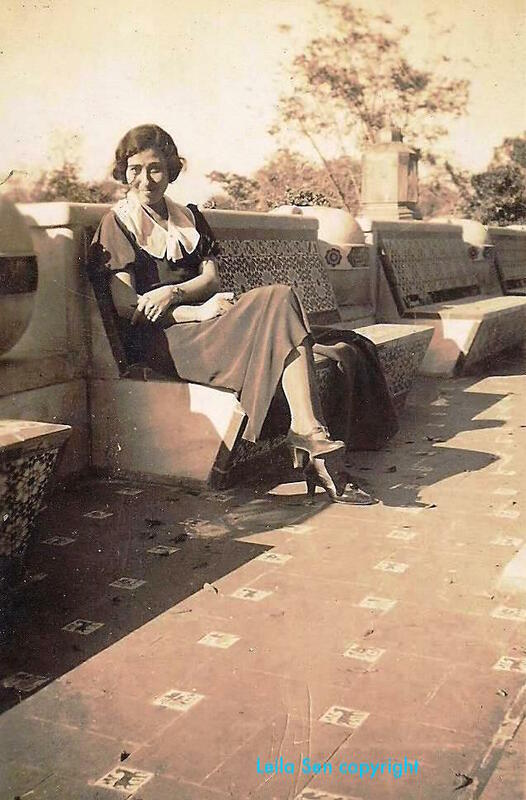 Leila Sen shares the story of Hedeya Khayat, her Armenian mother’s unusual story and journey from Turkey to Egypt, to India, to England and finally to the USA. As part of a people who define themselves as ‘survivors’, one wonders what it was like for Khayat who became Hoda Dutt after her marriage and learnt to navigate her life as an Armenian in Calcutta? What kind of food did she serve in her Armenian-Indian kitchen? What memories did she carry of her birthplace in Turkey? Khayat was born at the turn of the 20th century into a well-to-do family in Turkey. As a young girl she lived in the ancient town of Diyarbakir in the Anatolian part of the Ottoman Empire. Sen says, her mother was a young girl in 1915 when she and her parents were forced to endure the horrors of the Armenian Massacre. The only child to survive out of six, she and her parents eventually managed to escape Turkey. Sen describes their difficult flight and how they eventually reached Egypt and settled in Cairo. Khayat married and divorced. She had three children, two boys who lived with their father, and the youngest, a daughter who remained with her. During WWII, an interesting turn of events led to a chance meeting that changed her life. Khayat met a young Indian officer, a doctor from the British Indian Medical Corps. on leave from the war against Rommel in the Western Desert. He fell in love with her and proposed on their third meeting. She accepted his proposal and moved to India with her young daughter braving the turmoil of World War II. She settled down in Calcutta where the couple’s daughter, Leila, was born. After twenty five years in her adopted country, the couple moved to England, and later to the United States. In 2001 Khayat passed away in San Francisco holding a little gold cross she had managed to save when she fled her childhood home in Diyarbakir. Sen has written a book about her parents called “Age of Kali.” It is the story of her parents based on discovered memoirs, a story about destiny and love set against the flaming backdrop of World War II. Boil 1lb meat chunks and one chopped onion in water with salt to taste. Chop one onion and fry till golden. Cook, stirring occasionally, till soft and mushy. Add 2 lb shelled peas and cooked meat with its gravy. Cook till peas are soft. Serve with freshly cooked long grain rice, or rice cooked with vermicelli, or Arabic bread (aish baladi). Leila Sen’s grandparents Baba Tath t (L) and Bajo (R). 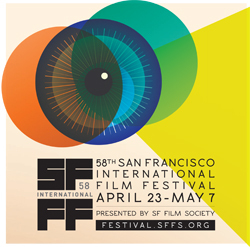 Today is the opening night of the longest running film festival in the Americas – San Francisco International Film Festival (SFIFF). The festival runs from today through May 7, 2015 and is studded with a wonderful array of films, guests and talks. We sat down to speak with Noah Cowan of San Francisco Film Society (SFFS) about this year’s film festival and the strategic vision and direction he has in mind for the organization. What is different about this year’s festival is the acknowledgement of San Francisco bay area values in the programing says Cowan. He describes the essence of San Francisco values that includes a wide range of components from innovation and technology to the political and social dynamics of the area. Cowan spent many years at the Toronto Film Festival and helped curate lots of special projects especially on Asian films from China and South Asia. 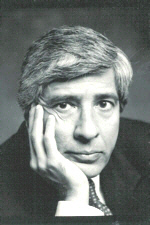 He helped curate two special programs on India’s Mani Ratnam and Raj Kapoor. So naturally we had to ask if we can expect to see more South Asian films at SFIFF. Tune in to find out what he has to say.